Stephen Conroy was born in Helensburgh, Scotland in 1964. In 1987 he attended the Glasgow School of Art where he also completed his postgraduate studies. By 1989 Conroy's work had already gained much recognition and praise in the United Kingdom and internationally. The artist has remained in Scotland, where he currently lives and works. Conroy draws upon Francis Bacon for inspiration. While Conroy's work is not the type of furious, fleshy, and twisted portraiture of Bacon, he achieves a tension and nakedness which shows the human condition at its fullest. Conroy is a figure painter and has created a number of self-portraits in both his painting and prints. 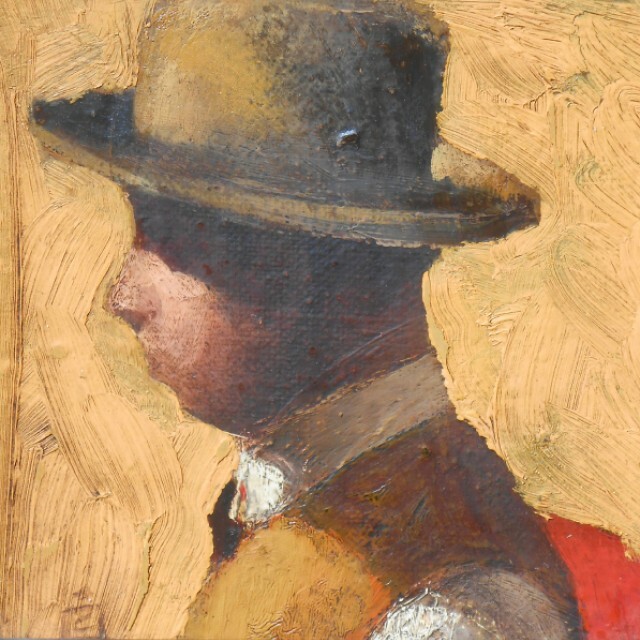 His mastery of drawing in these is evident, and the portraits are communicative and firm. The simplicity of a stark background and a single pensive figure are all Conroy needs to create the intense and stirring images that characterize his style. 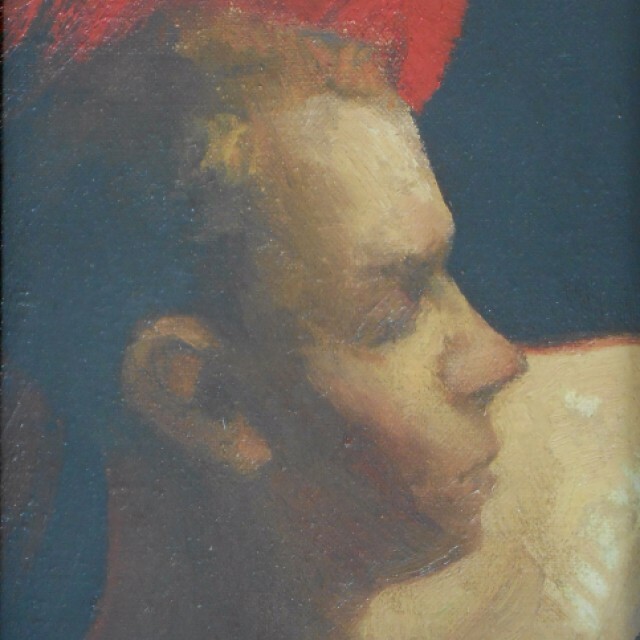 Conroy's work is part of a number of collections including The British Council, London, England; Contemporary Art Society, London, England; Frissiras Museum, Athens, Greece; The Metropolitan Museum of Art, New York; National Portrait Gallery, London, England; Robert Fleming Holdings Ltd., London, England; The Royal College of Surgeons of England; Scottish National Gallery of Modern Art, Edinburgh, Scotland; Scottish National Portrait Gallery, Edinburgh, Scotland; and the Whitworth Art Gallery, Manchester, England.